I have had hundreds of startups reach out to me at Red Rocket looking for fundraising assistance. Most with hungry, passionate entrepreneurs trying to build a great company in their space. But, it is typically the technology startups that get through the filter of what I think is “fundable” by professional venture capitalists, based on my conversations with those investors. Which leaves many of the startups in other categories (e.g. 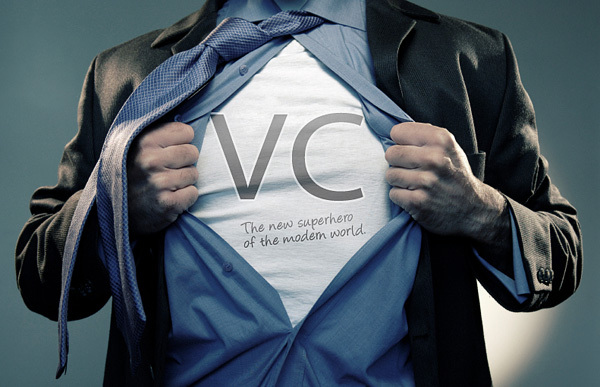 CPG, retail, restaurants, real estate, manufacturing) struggling to secure startup capital. Today’s lesson is going to address why that is the case. Technology startups typically have normal business/execution risks that VCs are willing to take, especially after they have flushed out the concept and seen a material proof of concept already achieved, before investing their capital. But, think about other startups. Restaurants and retailers have the additional risk of real estate locations (e.g. if the road you are located on goes under construction). They also have the additional inventory obsolescence risk (e.g. if you pick the wrong products to sell). Instead of taking on multiple types of risk (e.g. execution, real estate, inventory), the VC will typically take the other risks off the table, and focus on technology startups where the risks are greatly reduced. The cost of building a technology startup has dramatically reduced over the last decade. No longer do you need to pay for hardware, code commonly used tools or pay for big support teams. Websites today are hosted in the cloud and use open-source software, taking the cost of the build-out down from the millions a decade ago to the hundreds of thousands today. Compare that to the multi-million dollars of capital required to launch a new big box retailer, or manufacture a facility or real estate development. Compare that to the additional capital required to fund all the inventory that goes therein or the additional financial burden of a long-term real estate lease if the business fails. The VCs mentality is, why invest big money upfront (or over time if things turn south), when you can invest little money in a tech business, for the same big, upside returns? VCs just don’t like startups that are human-supported businesses out of the gate. People cost money, people are hard to recruit and human-driven businesses are just less scalable than something like a simple software-as-a-service business. Why invest in a 25% gross margin business, when you can invest in a 90% gross margin business where you can flow through all those extra dollars to the bottom line? At least that’s the mentality of most VCs. Human-driven businesses typically attract investor attention later in their development cycle, when private equity firms start to take notice, which have different investment objectives. What was the last non-tech company to go public at a valuation of 10x revenues? Most other industries are valued with much more conservative EBITDA or net income based metrics. Compare that to a hot technology startup, which is quickly acquiring global users and given a free pass on the bottom line to go ahead and build up a dominant market position (with a “we’ll optimize the revenue model later, once the audience is built” mentality of many of the Silicon Valley venture firms). So, if tech companies average 2x-3x revenues for their valuation, instead of 4x-8x EBITDA for their valuation, and they are given a pass on driving short-term profitability, you can understand why venture firms are naturally drawn to tech companies. Hopefully, you now have a better understanding of why VCs bias tech startups. Which means one two things for you: either focus on launching tech startups that have the maximum odds of raising venture capital or understand going in that most non-tech startups will need to be financed in other ways, which may or may not be easy for you.